Planning to attend Cornwall with your children for the first time? Download and fill out the following child enrollment form. Submit the form no later than the Wednesday before the service you’ll attend, and your child will have a printed nametag their first time with us! Have Questions about the Children’s ministry? 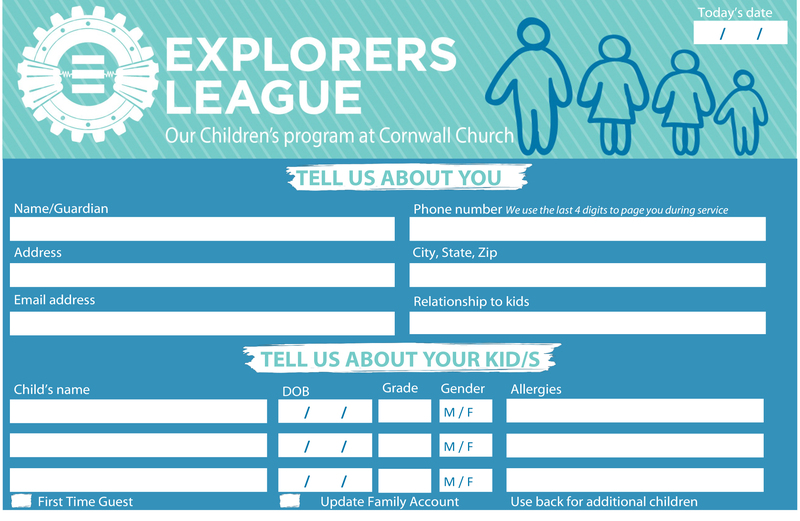 Email Children’s Pastor Mike Ford at mikef@cornwallchurch.com, and he will respond as soon as possible.